Sam and Gina are an inspirational couple. Bizarrely I met them whilst backpacking in Bolivia. We instantly hit it off and they’ve been great friends ever since. Whilst travelling around the world they decided not to return to the UK, but instead made Auckland their home and later Melbourne. They came back to England for their wedding at Herrison Hall in beautiful Dorset and celebrated in style with their missed family and friends. In true backpacker style, their wedding was on a tight budget. Rather than make the event less special, this however worked in their favour. They asked their friends and family to pitch in by helping out in any way they could and this in turn gave the day an even greater sense of celebration as everyone was so proud to have contributed to it’s awesomeness by giving something really special to Gina and Sam, namely their time and creativity in making their day completely unique and special. They had friends performing music, djing, serving food, cooking food, helping with decorations, etc. 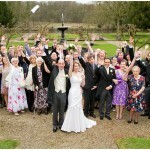 Gina’s lovely dress was bought from a charity shop and altered to look spectacular. Sam and Gina themselves put a gigantic effort by hand sewing an owl for every guest for their favours! Many many evenings were apparently spent with needle and thread. Their homemade wedding was a huge success and one I’ll never forget. 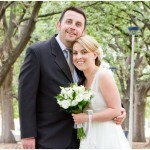 In need of a Herrison Hall Wedding Photographer? Or need a friendly unobstrusive wedding photographer for anywhere in Dorset or beyond? I’m based in Essex and don’t charge additional travel costs for anywhere in England. Get in touch by clicking here and lets have a chat.